An isolated village, remote and vulnerable. A series of brutal murders. And a vengeful spirit born of tragedy, reawakened after a centuries-old massacre. Three distinctly different people must come together, racing against time and their own personal demons in a desperate attempt to stop an unstoppable killer and save their town. Welcome to Paskagankee, Maine. You may not survive the visit. This book is set in a small town in northern Maine. The brand new police chief finds himself in-over-his-head very quickly when a series of attacks rocks the community. At first, a dog is attacked by what seems like a wild animal, then a man suddenly disappears while shoveling his driveway, leaving behind nothing but large amounts of blood. It soon becomes clear that the attacks are not from any animal but, rather impossibly, a human. The new sheriff~along with a young woman on his police force and a ridiculed and discredited professor from a neighboring town~embark on a dangerous and interesting mission to hunt down this “person” and stop him/her before any more murders can take place. My interest was kept during the entire book. I was able to predict the “person” that was killing people, but that didn’t take away from the story for me. Honestly, I had to keep reminding myself that this wasn’t Stephen King. 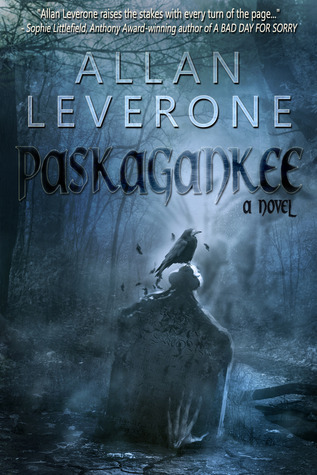 Maybe it was the Maine setting, but Allan Leverone had a very good writing style that almost bled mystery and danger. I am sure I will be reading more from him! To buy this book click here.